Plants add beauty and excitement to our homes, but many people living in apartments without expansive backyards feel excluded from participating in a green lifestyle. Just because you don’t have the space for Gardens of Versailles, doesn’t mean you can’t partake in exploring and celebrating your green thumb. Plants benefit your mental and physical health in various ways. 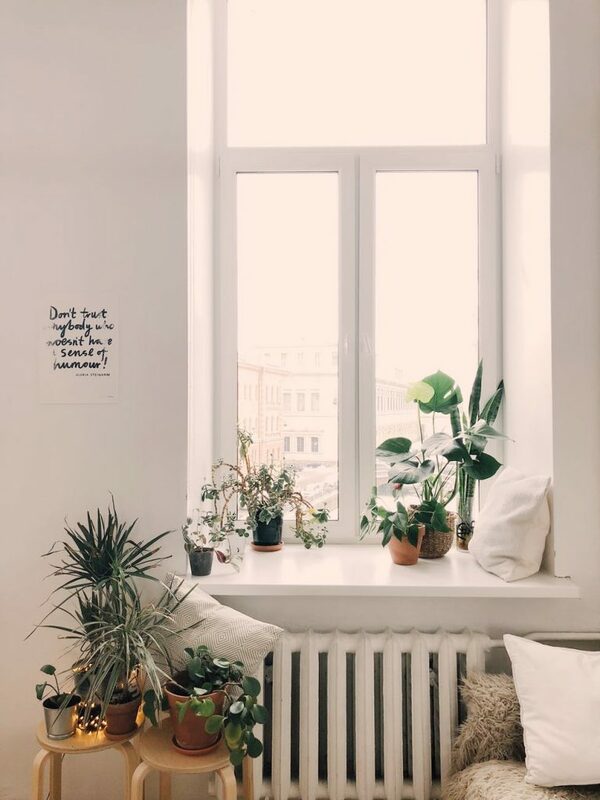 From absorbing VOCs and noise to creating oxygen, plants make small spaces more pleasant, healthy, and fun to live in. Whether your apartment has a balcony, a small backyard, or you don’t have any outdoor space, there are ways to make the most of your space and incorporate beautiful garden ideas into your home design. When you find the perfect place to live, but you don’t have a yard, don’t sacrifice your ability to bring the green indoors. When it comes to small space planting, most people imagine a series of pots, a box planter, or window garden. But plants will amaze you with their ability to grow upward. A vertical garden will transform your small space into a big opportunity for fresh vegetables, herbs, and other edible plants. All you need to capitalize on your small space is a sunny wall and about 6 spare inches of space. You can then make your garden as wide and tall as you choose. By stacking your plants upward, they will benefit from vertical watering. This will reduce water waste over time and reduce your water bill. You can even find pre-made vertical planters that will accommodate up to 50 plants in 40 square feet. When it comes to your balcony, don’t shy away from hanging gardens, too. Hanging planters and pots can create a more private and lush atmosphere. Tiered planters can turn an extra 12-by-12-inch space into a tropical oasis or a bountiful vegetable haven. Like vertical gardens, tiered planters will economize your use of water and area. Stacked or tiered planters are perfect for herbs and flowers. You will want to put your thirstiest plants on the top tier while your less water consuming plants should live toward the bottom tier. When you first install your tiered planter, you will want to monitor how much water makes it to the bottom tier, so you can add water if needed. You can even repurpose an old piece of furniture into the perfect planter that with wow your guests and reduce unnecessary waste. When shopping for plants, always learn about their lighting needs. If a plant needs full sun, but your apartment or townhouse is north-facing, you will want to go with another option. If you have an apartment that never seems to fill with sunlight, you can always purchase a growing light to help your plants stay happy and healthy in your home. Halides and Compact Fluorescent Lights are the best options for larger, light-hungry plants. You can also find plants that will soak in lower lighting options. If you have natural sunlight that hits where your plants are daily, then you can get away with plants that thrive in low-light conditions. Heartleaf Philodendron, Lucky Bamboo, and the Snake Plant are great options when it comes to low light levels. You may not think of the bathroom when you think of a garden, but the bathroom is one of those overlooked opportunities when it comes to greening your small space. The humidity and warming of your lavatory would make many plants quite happy. Aloe Vera and Asparagus are low-maintenance do well in damp conditions. Other areas of your home, like unused counter space, make for great plant options. Adding green here and there will add interest and color areas of your home that don’t get a lot of attention. Plants can also beautify areas you rather not look at like the mildewy rooftop outside your window bathroom. Try adding a few flowers to this area–it will transform from an eyesore into eyeful. Succulents are more popular than ever. This is probably because they’re very easy to care for and to keep alive. Most succulents and cacti are drought-tolerant so they don’t need a whole lot of fuss to stay alive. They also can live without excessive light, not to mention, they look adorable when they’re tiny. Try creating a container garden with a variety of flowering and colorful succulents. You can place them on your porch or balcony in the summer and watch them flower and blush to red in the sun or keep them on your windowsill and admire how they slowly grow over time. 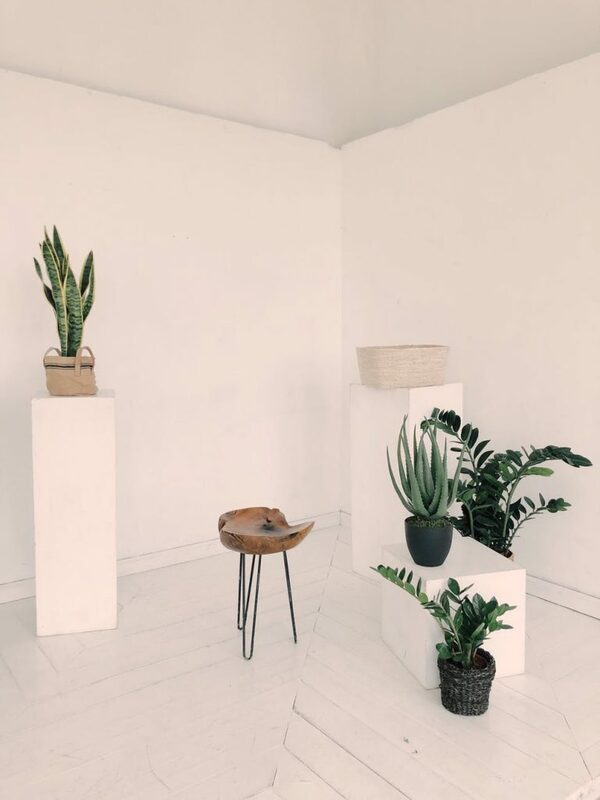 Other low-maintenance, more traditionally leafy indoor plants include the Cast Iron Plant, which is almost impossible to kill, and the Chinese Evergreen. Just because you don’t live in a mansion doesn’t mean you can’t enjoy decadent plants and lush greens in your home. When it comes to your living space, you want to create an inviting and exciting environment that works for you. If you’ve always wanted to grow green beans, your own basil, or a bonsai don’t let a lack of yard stop you. Go big, go bold, go green!